Dr Tim Fooks' first (and possibly most important) job in the NHS was as a domestic auxilliary when he was 18. His medical training was at the Royal Free School of Medicine and he qualified in 1986 having obtained a BSc (Hons) in Infection and Immunity in 1984 from St Mary's Hospital Medical School. Dr Fooks worked in paediatrics in East London and then moved to Cambridge to train as a GP. 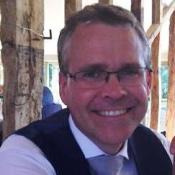 Dr Fooks started as a doctor in Pulborough in 1992, the same year that he achieved the MRCGP qualification, and has retained his interest in Paediatrics. However, he remains interested in all aspects of medicine especially chronic disease such as diabetes and mental health problems. In the practice, Dr Fooks is responsible for general management, human resources, and patient involvement. He is a GP trainer. Dr Fooks is course organiser for the annual Imperial College Medical School GP education course in London. Doctor Ray Ghazanfar joined Pulborough Medical Group as a partner in August 2013. Doctor Ghazanfar undertook his medical training at Guys & St.Thomas' Hospitals where he also obtained a degree in Psychology as Applied to Medicine. After completing his studies Dr Ghazanfar worked at Guys Hospital, Kingston Hospital and at Chelsea & Westminster Hospital as a junior doctor in a variety of Surgical and later Medical, specialties. He spent two years as a Medical Coordinator for the children's charity Facing The World, and worked for four years in medical research in a Ph.D program at Imperial College, before returning to what he considers his true vocation, General Practice. Doctor Ghazanfar retains special interests in Musculoskeletal medicine, Older People’s Mental Health, Palliative Care, Inflammatory Bowel Disease, and the provision of Minor Surgery in Primary Care. Within the practice, Dr Ghazanfar is responsible for monitoring the provision of Dementia Care, and Proactive Care for patients with complex needs. He meets regularly with the local PPL committee to foster patient involvement with the practice. Dr Ghazanfar enjoys time spent with his wife, now a Consultant at the Royal Marsden Hospital, and their young daughter. He and his wife enjoy playing tennis, long walks, and mountain-biking. Dr Ghazanfar’s greatest sporting passion is skiing - he first started skiing as a young child, and once spent a winter season working in a resort in France prior to Medical School. He started playing the electric guitar at school and owns and plays a Fender Stratocaster. Over the years Dr Ghazanfar has undertaken treks, most notably to Everest Base Camp, and to the Galapagos Islands. He and his wife are keen National Trust members and support several charities including the Royal London Society for Blind Children in Sevenoaks, Wildlife Aid, and Macmillan Cancer Support. 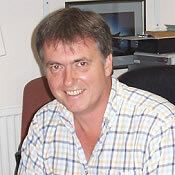 Doctor Guy Mitchell joined Pulborough Medical Group as a partner in July 2010. Dr Mitchell undertook his medical training at St Bartholomews Hospital in London where he also studied for a degree course in Clinical Science. During his 6 years at Barts he also met his wife Wendy, who is an Anaesthetist. After completing his studies Dr Mitchell then embarked on 6 years of training in surgery, passing his membership of the Royal College of Surgeons. He spent time working in several hospitals including Chichester, Worthing and Perth, Western Australia. During this time Dr Mitchell's two daughters were born, and he began to consider a career change that would give him more time with his family and more time interacting with patients. He decided to pursue a career in General Practice and undertook his training in Midhurst, becoming a member of the Royal College of General Practitioners in 2008. Dr Mitchell puts his surgical training to good use in primary care. He is an experienced vasectomy surgeon and a GPSI (specialist gp) in dermatological surgery. He undertakes many of the minor surgical procedures at PMG. He also has an interest in sports medicine and in men's health stemming from his surgical work in urology. He also manages to combine his enjoyment of sport and medicine with additional roles in horse racing and professional rugby. Outside of work Dr Mitchell puts a lot of energy and focus into his family and sport. He enjoys endurance sports including off-road marathons and triathlons. Dr Tooley has wide experience, including Child and Adolescent Mental Health Services, family planning, care of the elderly, psychiatry and endocrinology. Her areas of surgical skill include gynaecology, urology, gastro-intestinal and breast surgery. A particular interest is medical acupuncture. 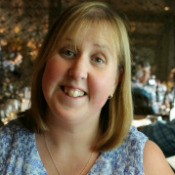 Doctor Carole Campbell undertook her medical training at Guys and St Thomas' Medical School in London and qualified in 2003. Doctor Campbell worked for 2 years in general hospital medicine in Kent, before starting her GP training in Maidstone. Her first general practice job was as a salaried GP in Lewisham, London in 2008. 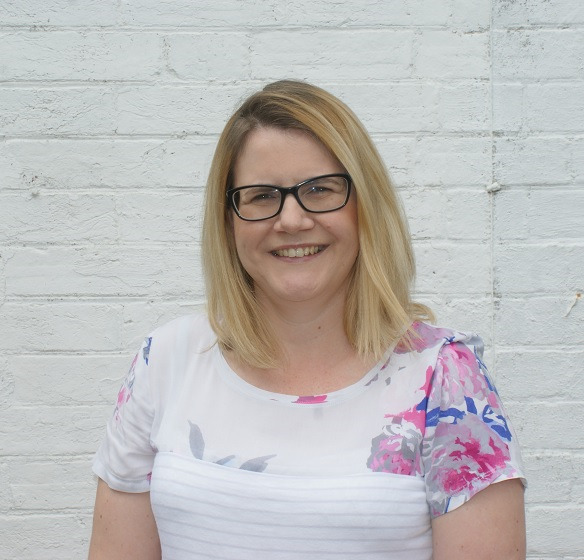 She then moved to Sussex in 2010 and worked in Horley before joining Pulborough Medical Group in August 2012 as a salaried GP before becoming a Partner of the Practice in January 2016. Doctor Campbell's medical interests include dermatology, general medicine, and family planning. Her qualifications include MBBS, MRCGP, DRCOG, DFFP, DPD. Outside of medicine, Doctor Campbell's interests include running and spending time with family and friends. 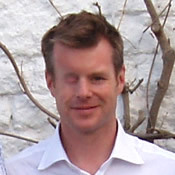 Dr Scahill graduated from St George's, University of London in 2007. She then moved to Chichester to undertake her GP training. She has a keen interest in Paediatrics, Women's Health and an enthusiasm for General Practice as a whole. Eloise is also hoping to become involved in medical education for trainee doctors and GPs in the future. Dr Murphy’s medical school training was at UCL in Bloomsbury where he met his wife, who is also a GP, in Crawley. During his time at UCL Dr Murphy became involved with a group called MedACT, a group highlighting the impact of poverty on health at home and internationally. Dr Murphy was part of a team that hosted the first national MedACT conference in UCL in 1997, with groups from all over the UK attending. He was also lucky enough to undertake a BSc Degree between his 2nd and 3rd years of medicine, in Neurology, and worked on papers with Prof John O’Keefe on memory systems in the Hippocampus, something for which Prof O’Keefe won the Noble Prize for science in 2014. Since leaving medical school Dr Murphy has worked all over the country – Harrogate, Truro, Ipswich, Margate, and Frimley Park hospitals as a medic where he specialised in Cardiology, and East Grinstead for the last 11 years as a GP continuing his particular interests in cardiology and respiratory medicine and acute medicine as a whole. Dr Murphy’s specialties are diabetes, endocrinology and he has also undertaken minor operations and joint injection training. At East Grinstead he led both the QOF (Quality Outcomes Framework) and IT. For the last 5 years Dr Murphy has also sat on the Mid Sussex and Horsham Medicines Management group. It’s fair to say, though, that he is not a ‘meetings’ person and much prefers to be face to face with patients. Outside of the practice Dr Murphy enjoys spending time with his wife and their two (very energetic) sons. When he has time he likes to go to the gym or go swimming, a skill he only learnt 3 years ago prompted by his sons who were extremely confident in the water. When time allows, he also loves to cook and has taken courses on Thai, French, Spanish and Italian cooking. His other main passion is Batman and he has, much to his wife’s horror, filled the walls of one room in his house with miniatures of every Batmobile ever used in comics or films! Dr Leigh-Anne Bascombe joined the practice in February 2016 and now looks after Dr Pullan’s patients. She trained in Southampton and qualified in 2005. Her Hospital posts covered a number of specialities including Paediatrics, ENT, Community Elderly Care, Obstetrics and Gynaecology and A&E. She completed her GP training in 2010. 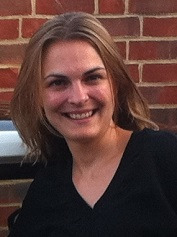 Leigh-Anne moved to the area with her Husband and daughter in order to be closer to family. In her spare time she enjoys keeping active doing yoga and going to the gym, watching movies, photography, baking and playing the piano. Her favourite holidays are weekends away walking in Wales and skiing - less of which has happened since becoming a Mummy! 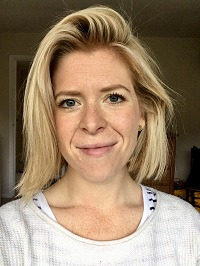 Dr Oxley undertook her training at Warwick medical school and qualified in 2011 having first completed an undergraduate degree in Biological sciences in Exeter. After completing her training in the West Midlands she moved back to West Sussex where she had grown up to be closer to family. Outside of work Dr Oxley enjoys painting, visiting galleries, sailing and being outdoors. 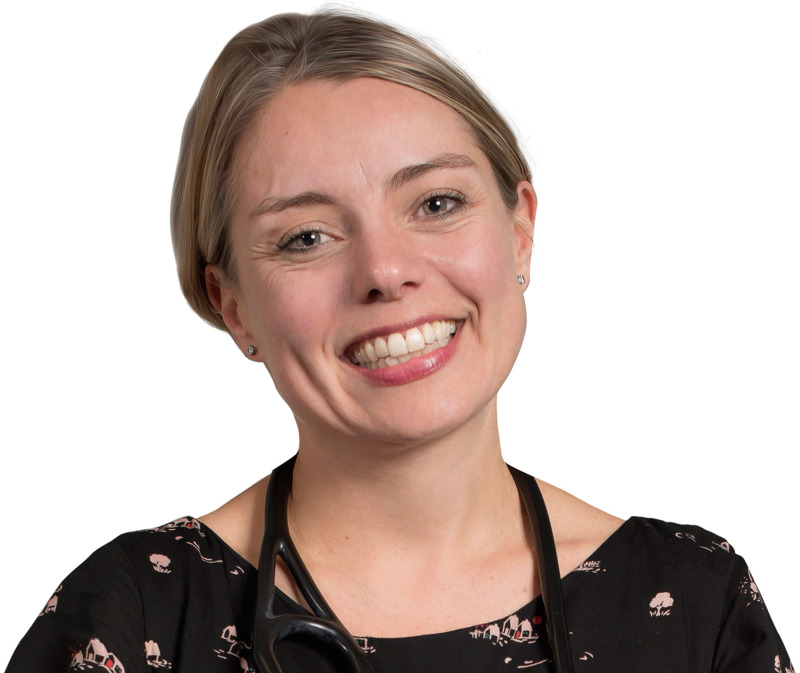 Katie trained in London qualifying in 2000, she trained and practiced as a GP in West London before moving to West Sussex in 2004. She has worked on and off at PMG since 2013. She is now a mum and works 2 days a week at surgery. She was the Clinical Chief Officer of Coastal West Sussex CCG until 2018 and she remains passionate about improving local health services. She enjoys all aspects of general practice, her particular areas of interest are women’s and children’s health. We are now a training practice and as a result we now have a number of Trainee GPs working at the practice who are available for appointments. Pulborough Medical Group is an accredited Training Practice and is linked to HEKSS ( Health Education Kent, Surrey & Sussex) . This means that both the Trainer and the Practice are inspected and have to meet certain standards and undergo a re-accreditation process. You may be offered an appointment with a GP Registrar who is a fully qualified doctor completing their training to become a GP. On occasions, GP Registrars may be sitting in with another GP in the surgery. You can consent or decline to have them sitting in with you if you wish. Dr Ray Ghazanfar is the GP Trainer and if you have any questions with regards to our GP Registrars, please contact him to discuss it further.